A beagle is shown in this file photo. Eight states in the U.S. have passed "Beagle Freedom" laws aimed at saving the lives of dogs who are the subject of medical research and experimentation. Beagles are the breed of dogs most commonly tested on. Animal welfare groups say most dogs who are subjects of medical research and experimentation are euthanized and destroyed when labs they live in have completed their tests, NBC News reported. But now, a growing number of states are working to crack down on that practice by passing legislation that mandates research laboratories to first attempt to adopt out healthy animals that have survived research tests. 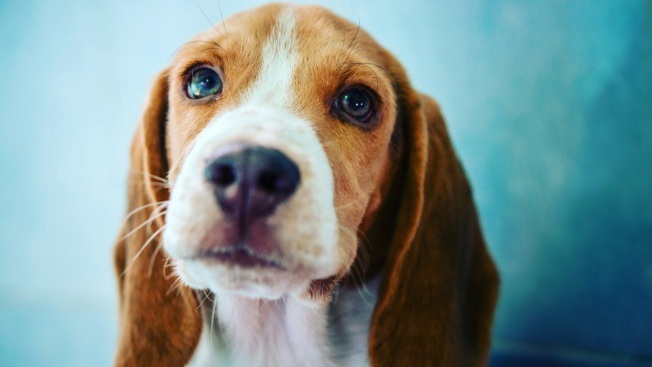 Minnesota, Connecticut, Nevada, California, Illinois and New York have enacted these "Beagle Freedom" laws, which are named after the dog breed most commonly tested on. Maryland's governor also recently signed a bill into law, and Delaware's General Assembly passed a similar measure Tuesday. In 2016, nearly 61,000 dogs and nearly 19,000 cats lived in medical and scientific research laboratories, according to the Animal and Plant Health Inspection Service division of the United States Department of Agriculture. The legislation has the potential to place thousands more dogs and cats into homes. "Every animal, who can, should be afforded the opportunity at life in a loving home after their time in the laboratory. That’s the very least we should do for them," Kathleen Conlee, vice president of animal research issues for the Humane Society of the United States, said.